Loan modification second mortgages can be a challenging thing for debtors who want mortgage relief through a loan modification or refinance. There's however an available help from the federal Making Home Affordable (MHA) program. The MHA Lien Modification Program, also popularly known as 2MP, is intended for borrowers who need to get their second mortgages restructured so it will be more affordable for them. This acts in connection with MHA's Home Affordable Modification Program (HAMP), which provides loan modification on primary mortgages. Borrowers who availed a mortgage loan modification, the conditions on the main mortgage are modified to make it more affordable, can likewise face financial problems because of the additional liability of one or more second mortgages. The 2MP program aids borrowers in various aspects. This can reduce their rate of interest, have the mortgage payments extend for a long period of time or have a part or all of their debt forgiven. The 2MP program can be availed for any kind of Second lien mortgage. This can be a home equity loan, a home equity line of credit (HELOC) or a "piggyback" loan that is used as a down payment when the property was purchased. The second liens or mortgages are difficult for borrowers that would like to restructure their mortgages. You must be aware that having a proprietary loan modification will not qualify you to have a 2MP on a second loan. The borrower can only avail of 2MP to modify one second lien. If there are several secondary liens, the borrower can only modify the principal second mortgage lien. Unpaid taxes liens and other non- mortgage liens cannot be included. In getting 2MP loan modification for the second mortgage, the borrower must have the first mortgage modified by HAMP. This means that 2MP is only given to borrowers with HAMP loan modification on their main mortgage. If you have not done it yet, the first thing you have to do is apply for HAMP loan modification. One thing to keep in mind is that many lenders will offer proprietary loan modification to borrowers instead of the HAMP loan modification. To obtain a HAMP loan modification, you have to indicate that you're really going through financial difficulty. This can be evidenced by that you have previously default in the payment of your mortgage with no loan modification. 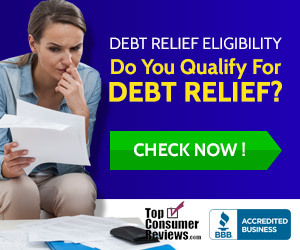 You may also be experiencing huge medical bills and presently have reduced monthly income that makes it difficult for you to pay your mortgage bills. The 1st thing you have to do to be able to apply for a HAMP loan modification is to initially make an application with your home loan servicer. This is the company by which you have sent your payments to for your main mortgage. Upon the approval of that and you're presently paying the modified payments; you may begin to request assistance for 2MP loan modification on your second mortgage. In that scenario, you will apply to the lender you send your payments for your second lien to. All being done, lenders are willing to give approval for loan modification of the second liens under 2MP.